I’ve stayed in a few of these large hotel/leisure complexes and sometimes they promise more than they can deliver. 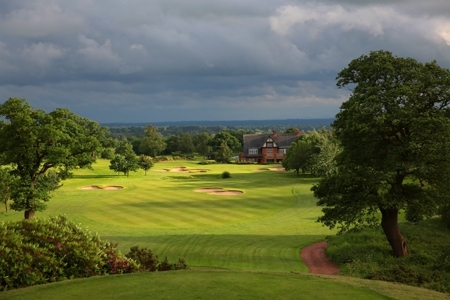 But that’s not the case at Carden Park Hotel, Golf Resort and Spa. 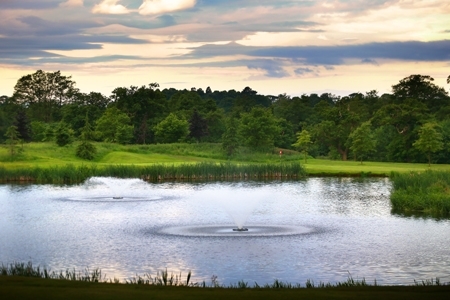 Whilst the self-contained resort has two beautifully-designed championship courses, it offers much more than just a round of golf. As you turn off the main road onto the mile-long drive snaking its way through one of the golf courses, the sumptuous well-maintained grounds surrounding you are indicative of the quality and attention to detail you can expect during your stay. 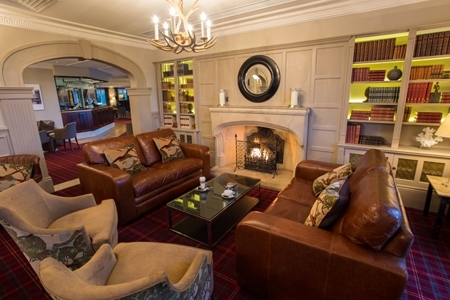 After a painless check-in we relaxed in leather armchairs in a public area resembling a hunting lodge, with its tweed carpets, cosy fireplaces and antler-designed light shades. My family and I stayed two nights in Room 145. 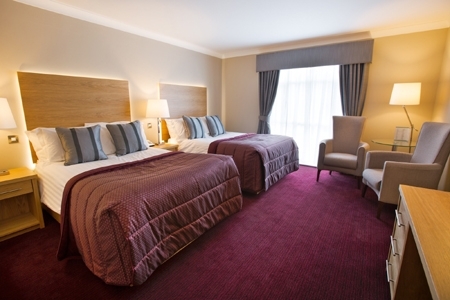 Containing two double beds, the room afforded us plenty of space and everything we needed, including hairdryer, iron, ironing board, TV, complimentary toiletries (although no body lotion) and a wonderful view from the floor-to-ceiling windows across the expansive grounds and lake. I adored the tranquillity of the hotel’s location. Although only a 20-minute drive to Chester, you’re treated to 1,000 acres of beautiful Cheshire countryside and birdsong; in fact, much wildlife can be spotted in the grounds: keep your eyes peeled and you could see, among others, pheasants, swans, foxes and squirrels. 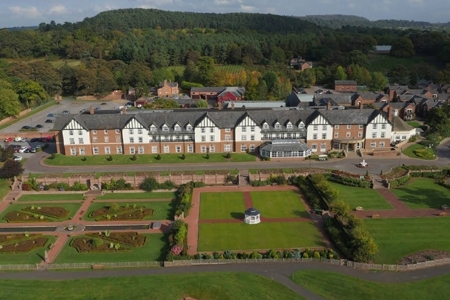 Although a visit to Chester is essential if staying in this neck of the woods, you wouldn’t be lost for things to do if you decided to stay put at Carden Park, which dates from the 17th century and boasts its own four-acre vineyard which produces up to 8,000 bottles of wine annually. 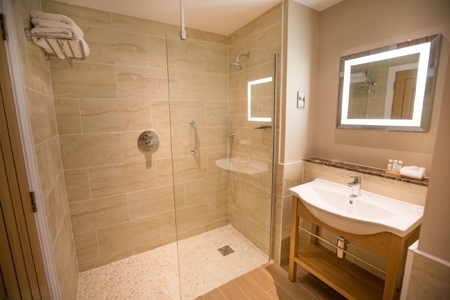 There is an award-winning spa offering 20 treatment areas and a gym. 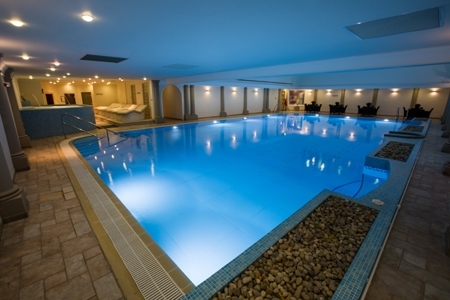 We enjoyed the 20-metre swimming pool which comes with sauna, steam room and whirlpool bath. Resembling a Roman bath, thanks to its decorative arches and pillars, we spent plenty of time in the water because the times for family swimming sessions are very generous. Other amenities include tennis, children’s play area, crazy golf (fee applies) and The Event Station. Next to the hotel, this is where adrenalin-junkies can indulge in a host of exciting outdoor activities – everything from quad biking and Segways to 4X4 driving and Kong Ropes. My children enjoyed the Kong Ropes before we headed to the full-size football pitch for a knockabout with some other hotel guests. Back at the hotel, a buffet breakfast (7am-10am), including cooked options, is dished up in the main restaurant. 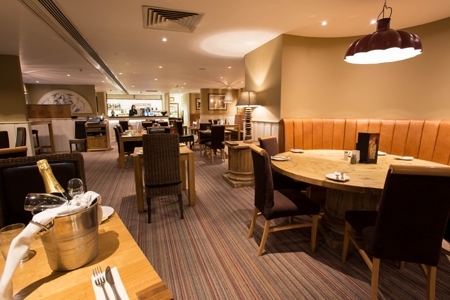 Although we didn’t sample an evening meal, there are dining options to suit all, from the AA Rosette-awarded Redmond’s Restaurant to The Vines, offering a more relaxed environment. Free parking and complimentary wi-fi throughout the hotel – still not offered at all hotels – add to the pleasure of staying at Carden Park.